I don’t know why this idea persists that competition and the arts are odd bed sisters. But it does. I know that for years, competition had so much sport’s testosterone slathered over it that I cringed just to hear the word. Then one time, when I made sure I got to a local potter’s studio right when she opened (I had a hankering for this lovely, tiny bowl that was actually a small nesting bird), my friends who were meeting me there “accused” me of being highly competitive because I got the bowl and about 3 other items that simply called to me. Well, blown me down! If you never! If I’d been asked to list ten-thousand adjectives about myself, competitive would have never showed up. I didn’t play sports. Didn’t enter contests. Never felt elated when I got a better test score than someone else, or a better grade in school. And yet, there I was clearly getting a head start so I’d have first dibs at the potter’s studio. Of course, that time the competitive label came with a derogatory implication that somehow what I’d done was unfriendly. I remember the sting of feeling emotionally ostracized the rest of the day – but not to the point of giving up my bird bowl! In re-imagining this distant past, I realize I also had another emotion that…got buried: a thrill that I got that bird bowl and no one else did! All these black marks against competition have taken me years to scrub clean. But scrub I have, and now competition comes with either a neutral response or one of excitement. 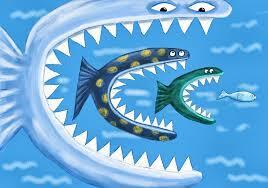 Competition means there is a market out there – which includes you! Competition challenges you to raise the bar for yourself. Competition does not have to be one-up/one-down. It can be a win-win. Competition is there in some form no matter what, so why not learn from it? Competition can be your mentor. When I’m coaching one-on-one, I encourage artists to take a good, long look at their competition – especially those other artists who are managing their art careers really well. Read about them. Go to their exhibits, if that’s feasible. Meet them and strike up a conversation. Ask questions about their career path, their philosophy of art, what keeps them going. Because, the real key to competition, I believe, is your attitude toward it. If you claim any degree of disdain, which is actually a fear cleverly disguised as intellectual one-ups-manship, or pooh-pooh the notion that you are paying any attention at all to competition because it’s “beneath” you, or ignoring the very real effects of competition inside your art world (the hide-your-head-in-the-sand stand), then you are giving away chance you have to get competition to work for you instead of against you. Because, what you choose to believe about competition is within your control. On a scale of 1 to 10 (1=I wish all competition would disappear / 10=intrigued & empowered by competition), where does your competition attitude fall? I think you’ll agree with me that one of the ways competition really shows up is in art sales. 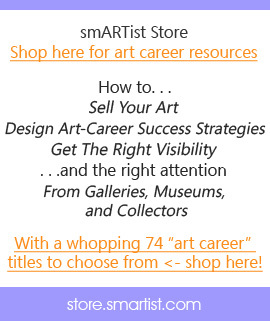 Click here to get your copy of the “Sell Your Art Transcript + Workbook” (free, natch!). So, here you are Cheri, using competition to increase the level of your own work – bravo! That was my opinion of juried competitions & it held true…Won’t do that again…Though the venue was fabulous!!! I’m a bit conflicted with my response to your story here. On the one hand, I understand the small minds of juried venues, and the male/female mind differences in judging. It’s essential! What is the debate? I think competition needs context…Is this work better than that one? Well what are the parameters? Oh, Sari, good for you for working around the way a word online can come w/ unintentional tones of voice. And I can see how rigid feels judgmental, though I’m not at all clear about the reference to fear and snobbishness, neither of which I was experiencing from you in your story. Your point about context for specific forms of competition is important. What a marvelous insight, and exactly what I was hinting at in my first response to your response to the juried event. I get myself tangled up in to-do lists where I can’t see my accomplishments that I’ve crossed off because I’m tend to whip myself forward. It’s emotionally draining and does not free up the energy I need for the rest of the to-do list. So I was imagining from what I heard you saying that a bit of something similar was happening to you in different arena: juried events. Sometimes I pose questions where I’ve already thought a long time about the answer (for me), but never assume my answer is the only one, and certainly not the only accurate one. So I ask for other points of view. My thoughts around disdain had nothing to do with a global dismissal on anyone who differed with that idea – it’s just my idea. I’d be in a lot of trouble if I didn’t take a stand on where I stand, but only let others take their stands (as you do with great intellectual curiosity and skill!). Also, I don’t feel all over the place on this issue. My blog post is exactly where I am. As are my responses to these fabulous comments. I appreciate your topic… and have shared it to my Facebook page and asked for discussion about this competition with your peers on a day-to-day basis, not juried competitions. Juried competitions is another topic! I do feel competitive when I see another artist passing me in my level in any way. But, it does as you said, making me strive to do better, more work, or quality up! What it doesn’t do, is make me not give them the kudos they so deserve. I will always say “way to go.” Then I am back on my thinking process of how to do better myself in whatever way that is. Thanks for bringing up this topic which is a good way to be, and not a jealous way to be. And, I have downloaded your transcript and workbook for myself, and my “Marketing Group” to have a go at. If competition is about protecting your own original ideas, then why do art coaches encourage free for all publishing online? Ah, yes, the vagaries of our new Online Universe. So, a contest where everyone sees everyone else’s entries and can subsequently change their own, that’s a misguided contest to be sure. This is where navigating our offline world with our online universe is an evolving process. As a specie, we’re nubbies at all of this. Clearly the people who designed this weren’t able to think through how the Online Universe actually works and adjust the rules so it’s a fair playing field. It’s called: unintended ignorance, and I would hope you would let this company know they screwed up. Really, Sari, I think you should start your own stand up artist comedy video routines – you, grl, are hilarious!! I love this attitude of gratitude, Marsha, for the good work of other artists even when it brings up competitive feelings. 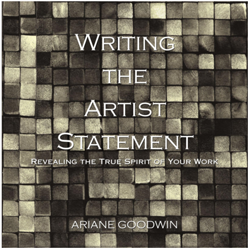 And thank you for taking the transcript workbook out to other artists – that’s the best news anyone could have given me today! Sari, it is unfortunate that competition is a ‘negative’ experience for you. Frankly, competition exists in every other aspect of life, so why not in the art world? I also do not understand feeling ‘bad’ about the results of a juried show…feeling bad for others, etc. It is a subjective process and we get the opportunity to learn from that subjectivity. Have you ever juried and judged a show? If not, it is a real eye opener. This conversation just reminded me of my experience some 15 years ago when a painting of mine was on the cover of “Watercolor!” magazine. I did not even know I was going to be on the cover. The shocker for me was that I received very few phone calls or comments about that achievement. I also did not think of it as ‘competition’ until I experienced so few kudos. PS I did know an article about my work would be in the magazine but knew nothing about the cover. That was a surprise for me! Ahhh, wouldn’t that be nice….that is to hold art at a higher standard? However, when we leave our own artmaking deceptions/escapes and our art goes public the playing field changes, no? I simply love the bullet points on the positive aspects of competition. Under “Competition Is One of Your Best Friends.” Especially the one about Competition being a mentor. I don’t consider myself overly competitive except with myself. Always looking to push myself a bit further and make me a better marketer or person. One of the great things about looking at the “Competition” is that you can learn so much from those who are already doing what you want to achieve. I seek to learn from them to find that path to success for myself. Also what is amazing about art is that if you are using your own voice and creating artwork from your heart there is no real competition out there only your own mindset. I believe every artist who creates with their own voice has a blue ocean in front of them and the “competition” is not as important as really understanding the idea that you are unique and have something to offer the world through your art and that it is your real job to get that message out to the world. The unique talents and vision that is combined through your art is important to the world… and you might as well accept, live with and benefit from it while you are in the world. So get it out there! Anyway that’s my take on it. it will bbe famous, due to its quality contents.